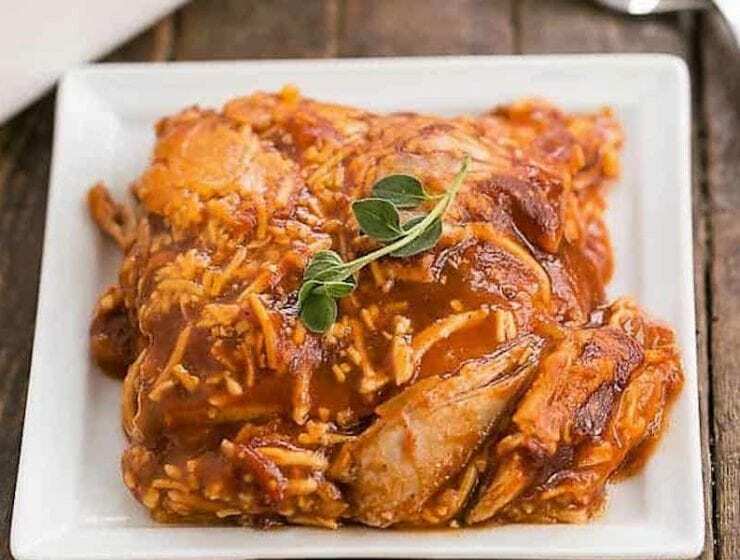 This hearty, spicy, not to mention EASY, Turkey Enchilada Casserole is perfect comfort food and so tasty. A perfect way to use up leftover turkey or chicken. 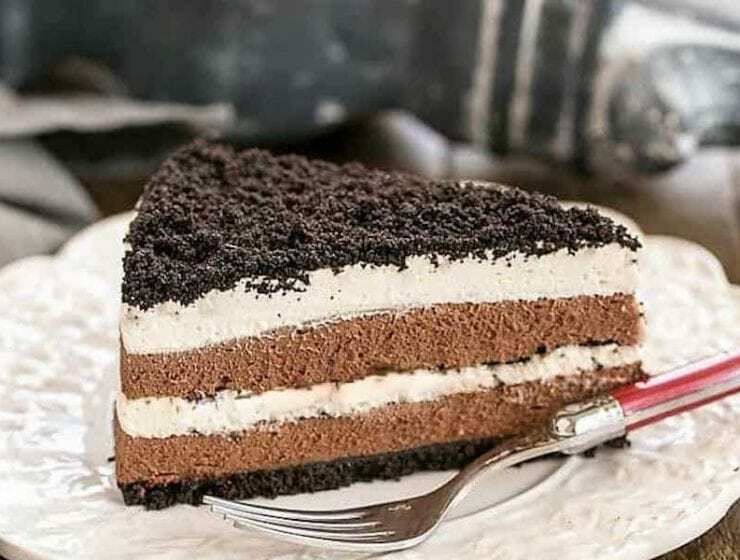 With a chocolate cookie layer, chocolate mousse and whipped cream, this ethereal, layered chocolate cream torte dessert is rich and creamy. Plus, it’s stunning to look at too. 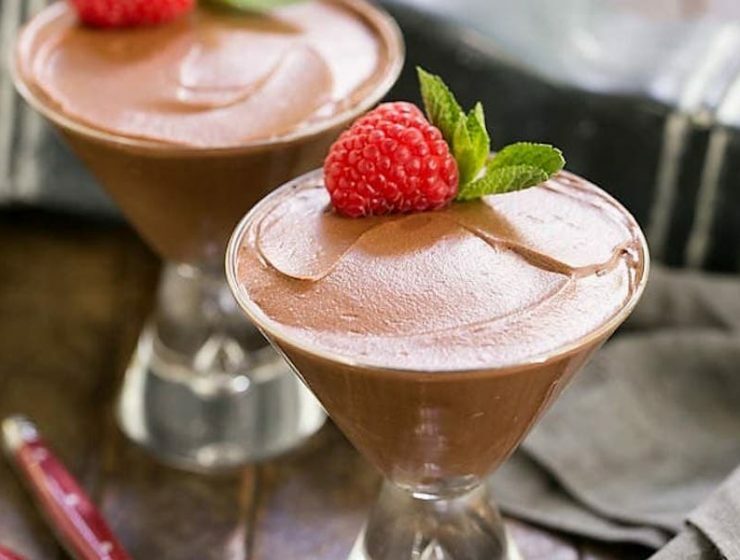 Ring in the new year with this exquisite Chocolate Truffle Mousse. It’s delightfully rich and satisfying. 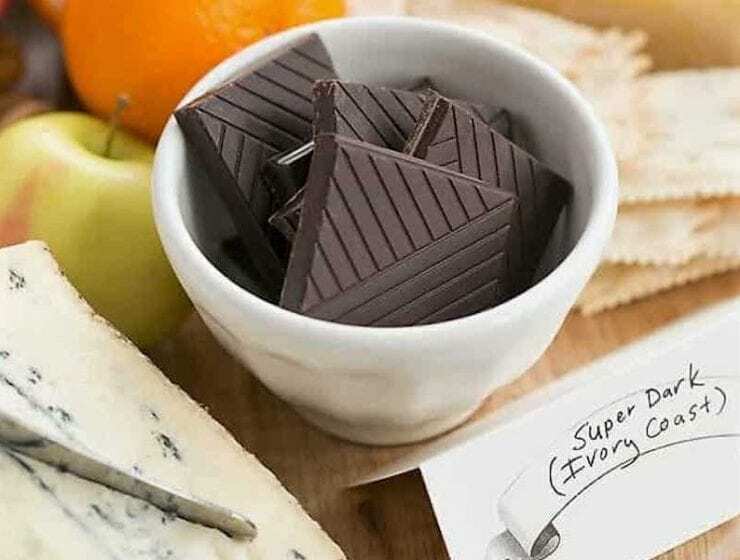 A Chocolate Dessert Board is an elegant, delicious way to end your next dinner party. 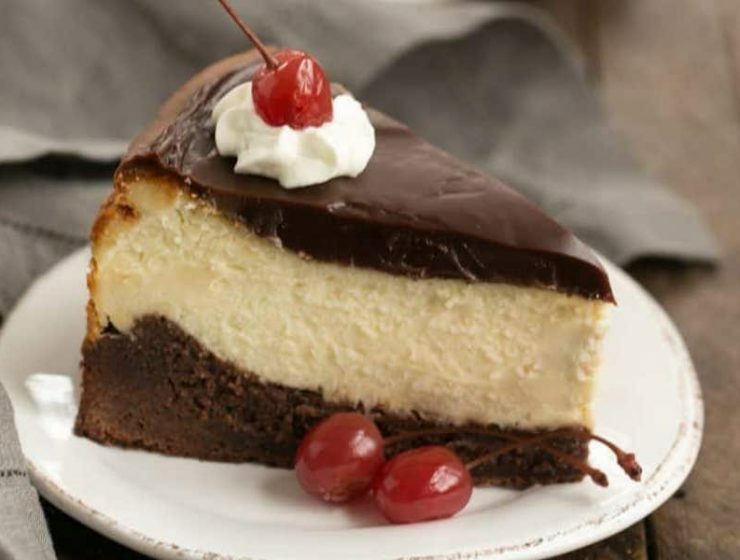 With fruit, cheeses, crackers and full-bodied, incredibly delicious chocolates, this unique “dessert” is sure to be memorable. 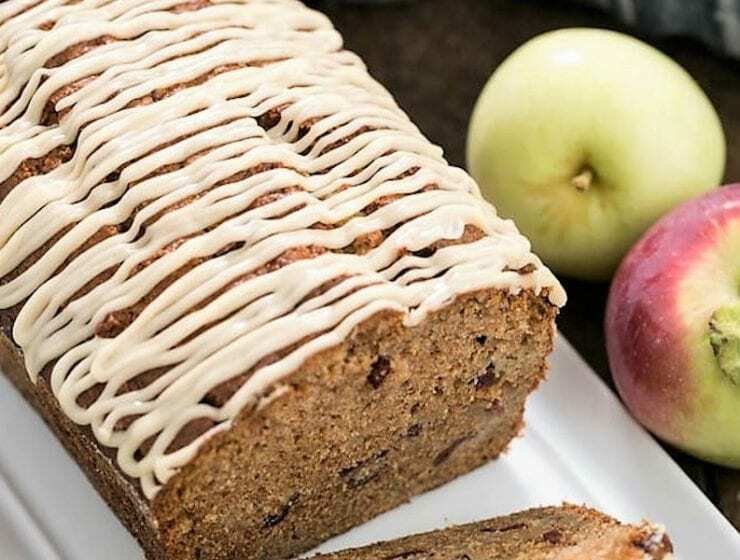 Full of grated apples and apple cider soaked dried cranberries, each slice of this dense, delicious Glazed Apple-Cranberry Bread will satisfy your sweet tooth. 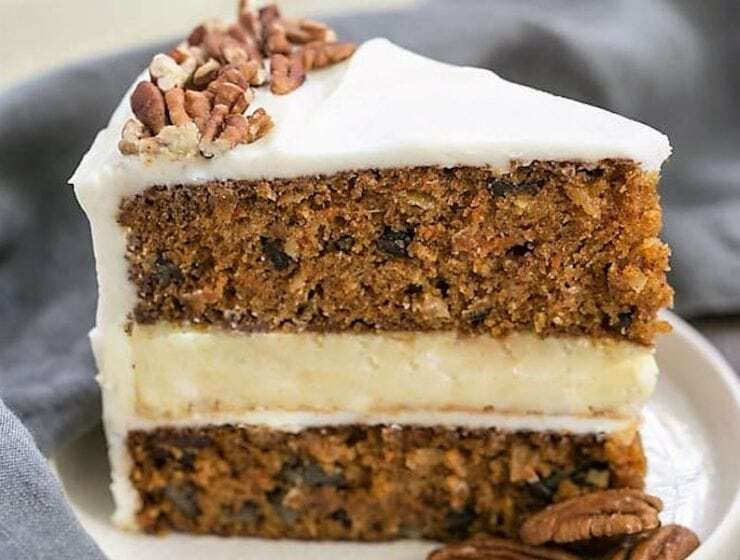 This Cheesecake-Filled Carrot Cake is for those times when you can’t decide between serving cheesecake and carrot cake or those occasions when you’re craving the most sublime, decadent version of carrot cake ever. 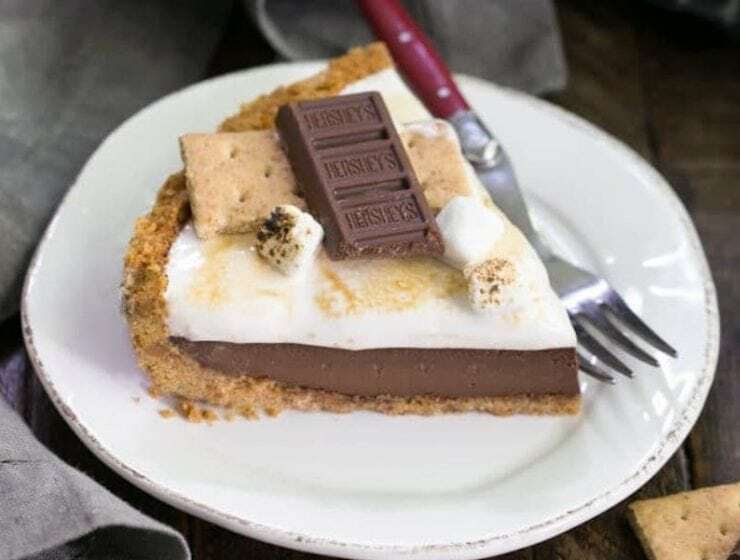 This S’mores Pie has a graham cracker crust, fudgy chocolate filling, and marshmallow topping make this pie a quintessential treat. 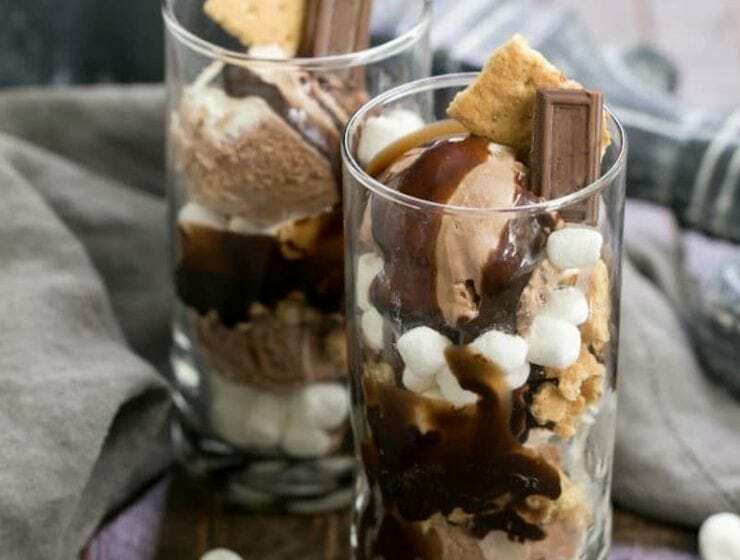 This S’mores Sundae is an easy, elegant ice cream dessert to cool you from the inside out and involves no baking. These Fresh Salmon Cakes are an elegant version of comfort food. 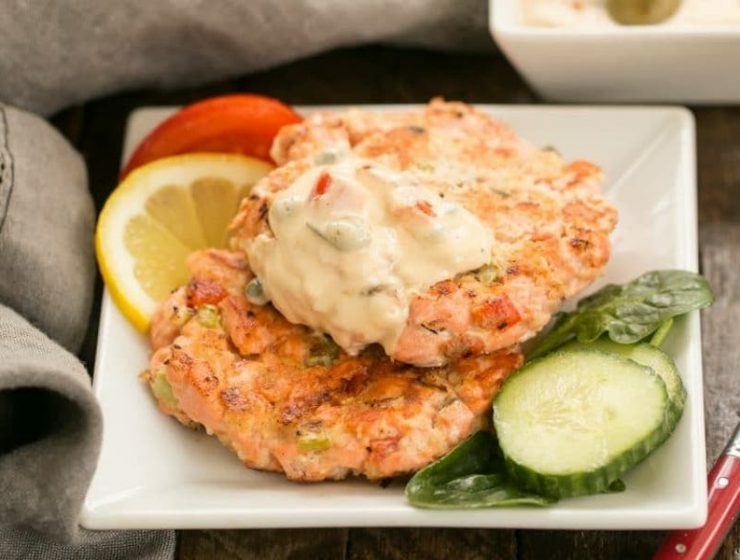 Ditch the canned salmon and try this recipe using all fresh, delicious ingredients and topped with a homemade remoulade sauce. A touch of coffee in the cupcakes and frosting is just what your next batch of cupcakes needs. 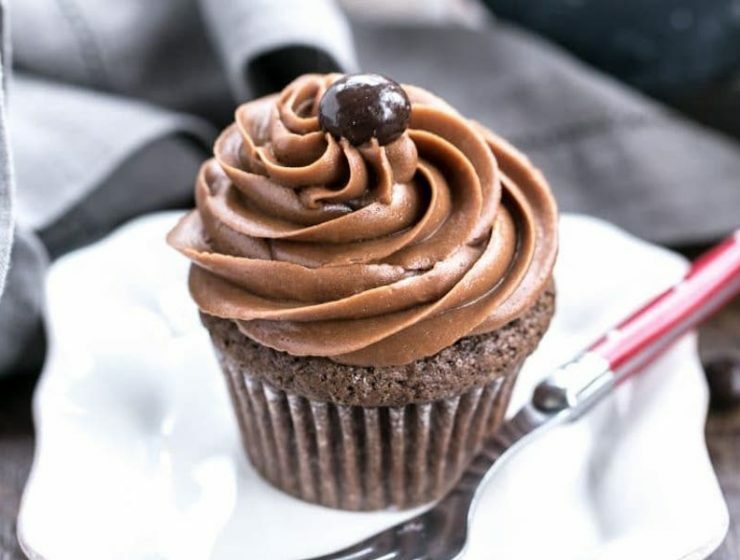 Serve up these mocha chocolate cupcakes at your next gathering. 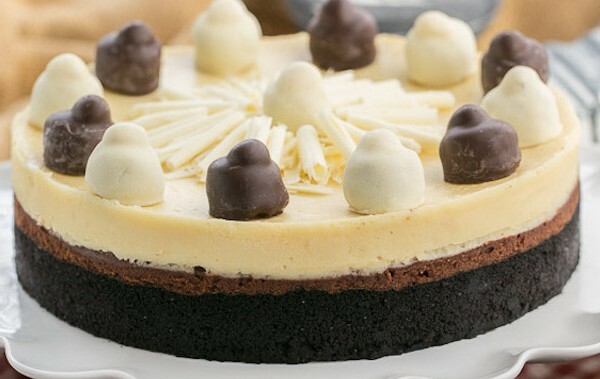 This Fudge Brownie Cheesecake is a perfect special occasion dessert. Each layer alone is incredibly delicious, but all together, they make for a rich, chocolate stack. 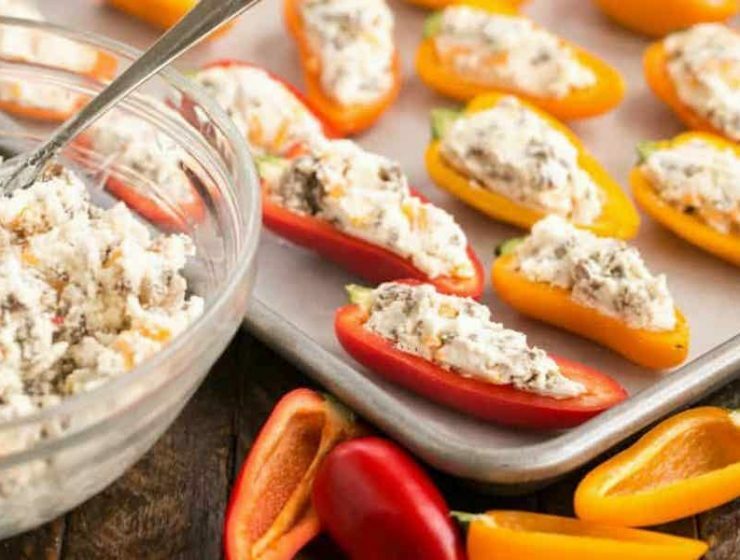 Perfect for game day or entertaining at home, these colorful stuffed peppers filled with cream cheese and sausage are an easy and impressive appetizer. 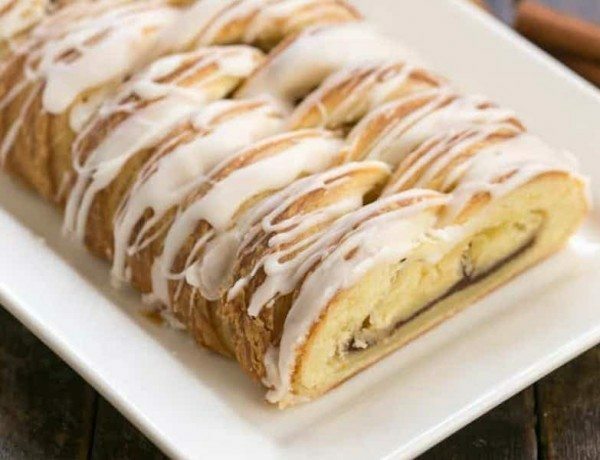 Make this special breakfast treat, a braided cinnamon danish made with homemade laminated dough. Low and slow is the way to go during on cool fall days. 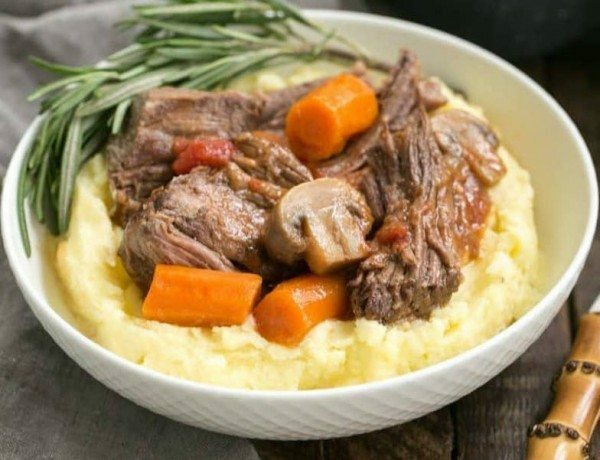 This red wine pot roast with mushrooms and tomatoes is a heavenly, slow cooked entree that requires very little hands on time. Get the perfect cook on your next batch of ribs in the oven. 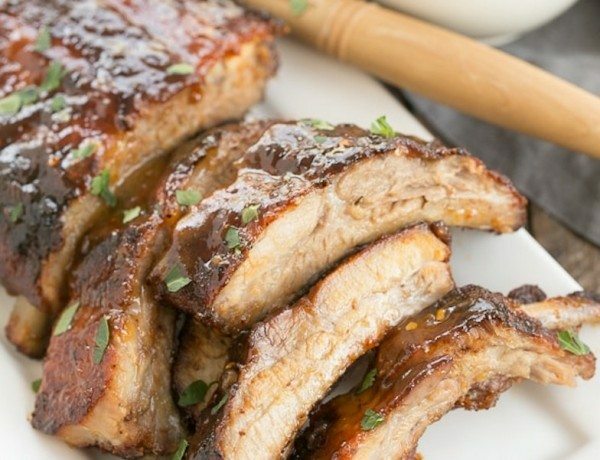 These apricot glazed ribs are true beauties- spicy, sweet, and sticky. 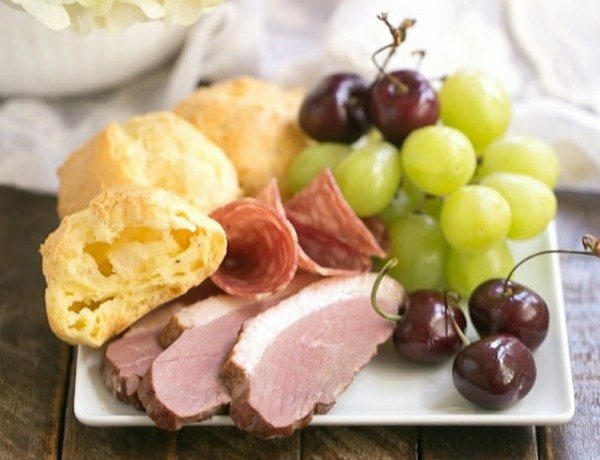 Take your next charcuterie board to a delicious new level with elegant Triple Cheese Gougeres. It’s the perfect setup for your next garden party. 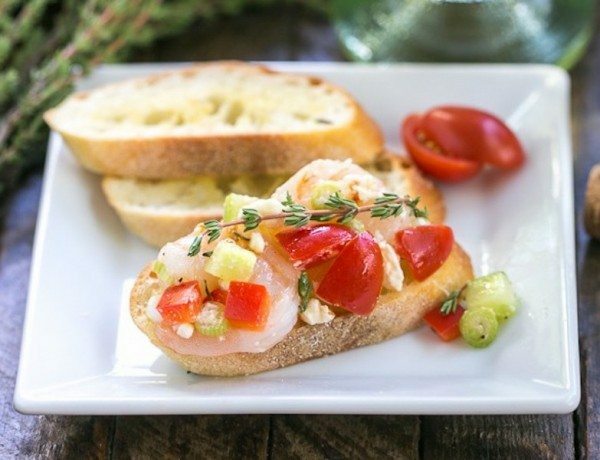 Pair these Shrimp Crostini topped with seafood, tomatoes and feta, with a crisp glass of Pinot Grigio. 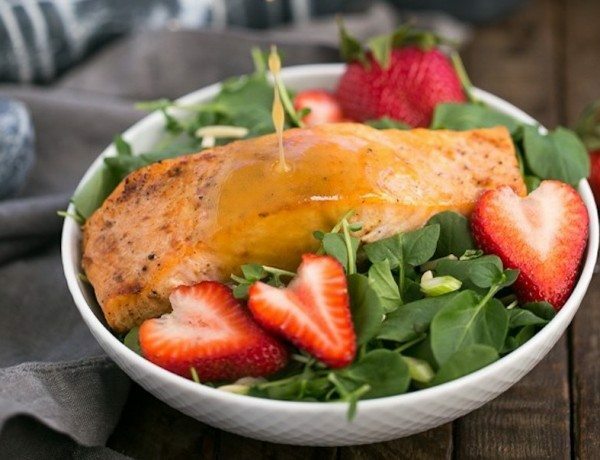 Fresh, peppery watercress is tossed with an exquisite strawberry vinaigrette and served with roasted salmon. 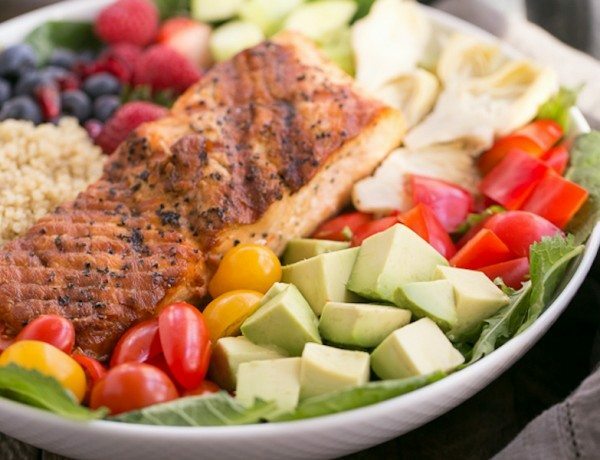 An easy, filling, flavorful meal. 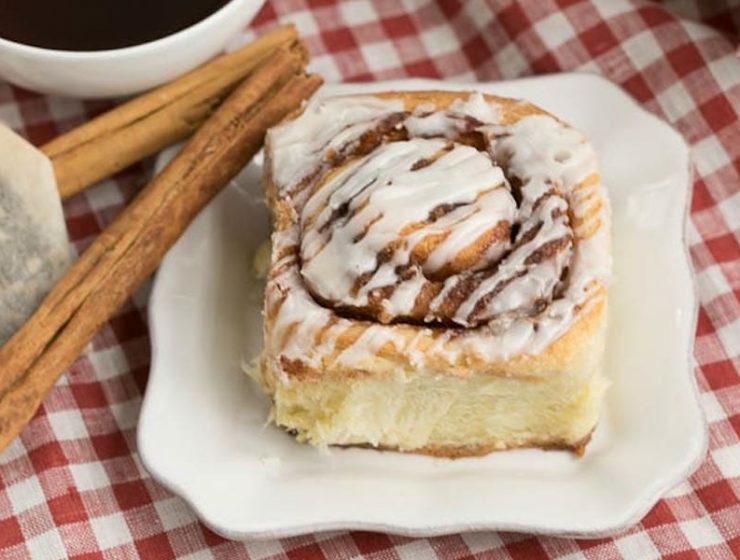 Mother’s Day brunch deserves a special treat. 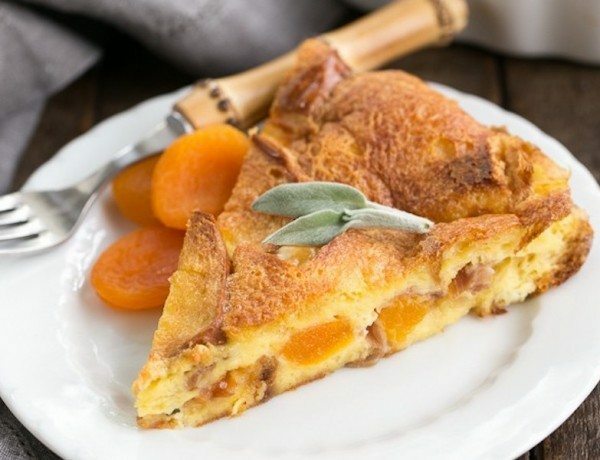 This Apricot Prosciutto Strata is an irresistible combination of salty ham, sweet apricot preserves and rich custard soaked bread. 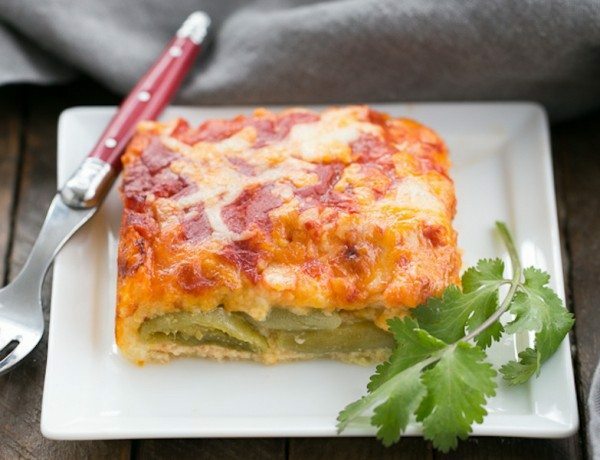 A super simple Tex-Mex dish, this Chiles Rellenos Casserole is pure comfort food! Have you made any New Year’s resolutions? 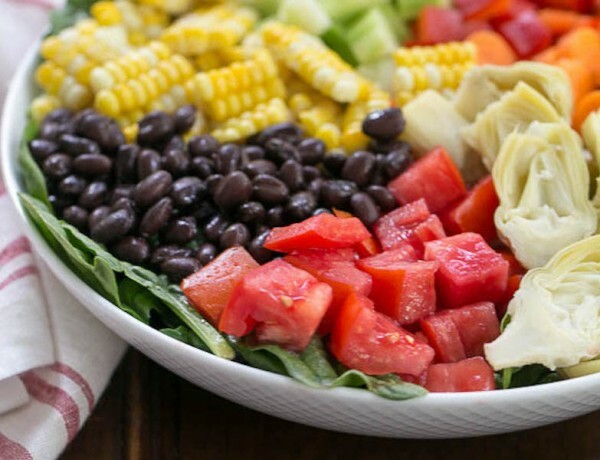 Over the holidays one tends to eat a lot more sugar, so add this adaptable Superfoods Salad to your menu rotation. Even though the holidays have come and gone, getting dinner on the table on a weeknight can still be challenge. 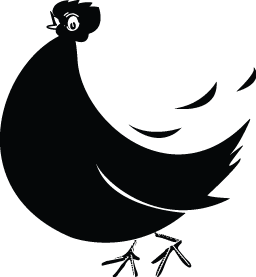 Check out our thoughts on meal delivery service. 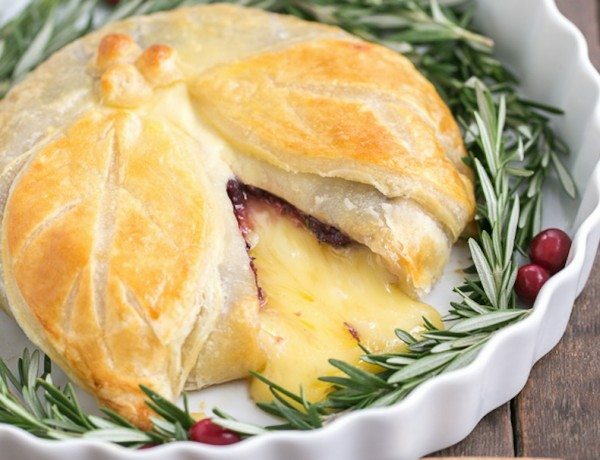 This irresistible Cranberry Brie en Croute is topped with herbed cranberry sauce and wrapped in flaky puffed pastry. 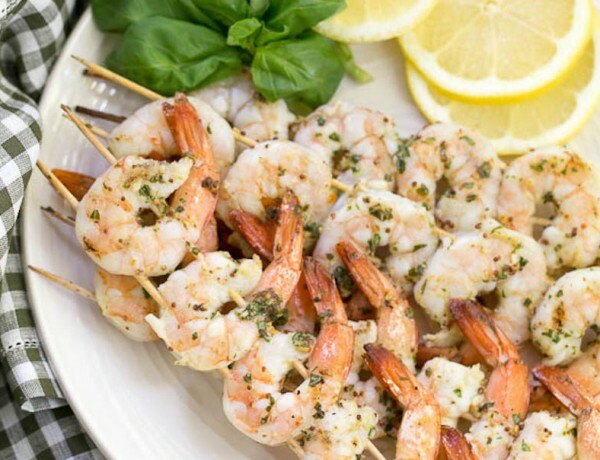 The perfect, warm appetizer for a cold winter day. We’re banding together for a virtual progressive dinner. 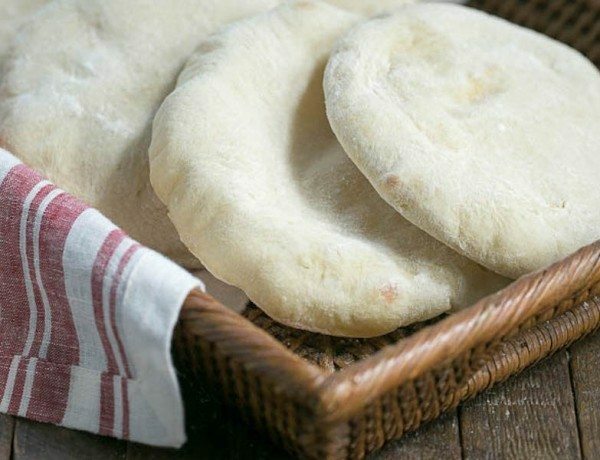 Our meal today is focused on Middle Eastern fare, and I’ve baked up some Homemade Pita Bread for the table. 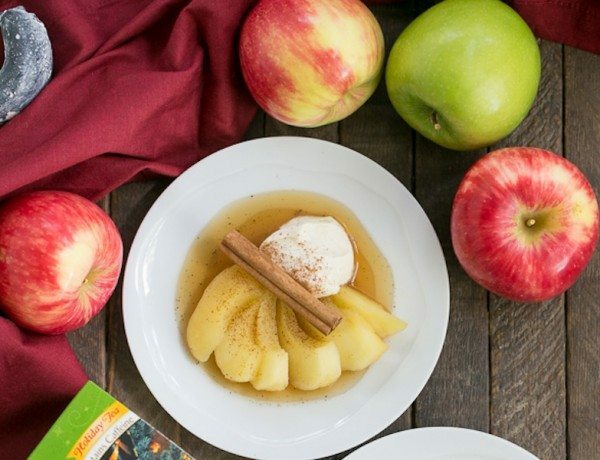 For an elegant winter or holiday dessert, these Calvados Mascarpone Topped Tea Poached Apples are a divine. The days are short and the temperatures are falling. 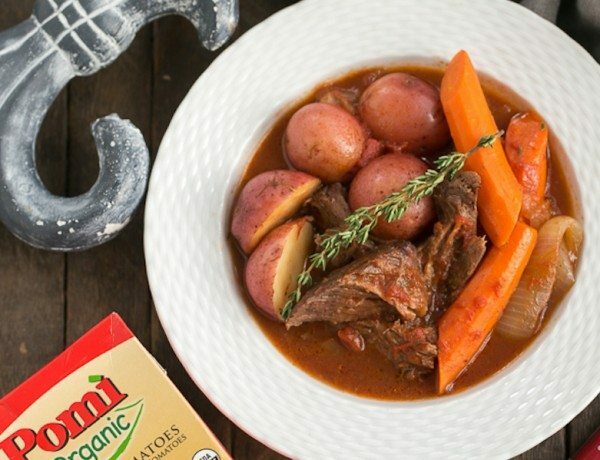 Make a comforting, tomato pot roast to warm your home and your eaters. 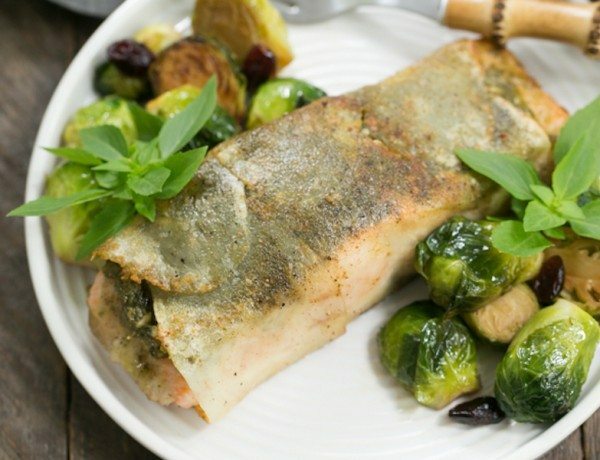 Pesto and thin slices of potatoes envelope salmon fillets for a quick, elegant seafood entree. 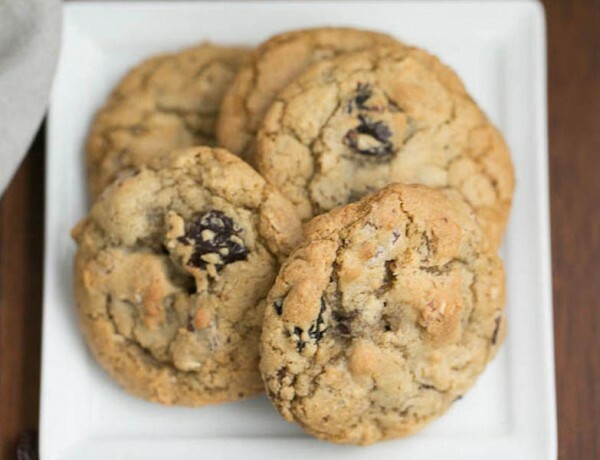 These Oatmeal Chocolate Chunk Cookies with walnuts and dried tart cherries can be a delicious reality! And once they are don’t forget to lick the bowl! 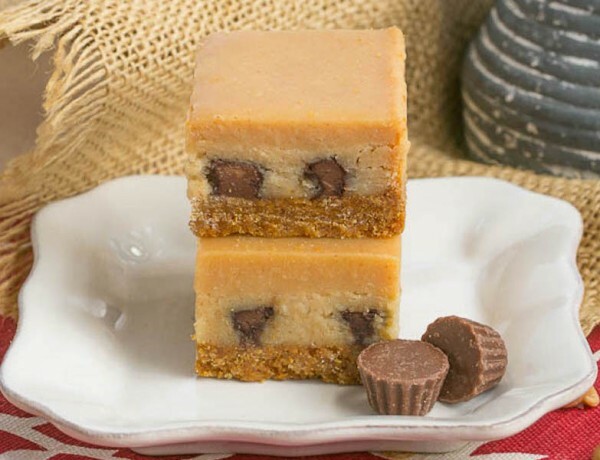 If you’re craving an outrageous peanut butter treat, I’ve got you covered with these sensational Peanut Butter Cheesecake Bars! 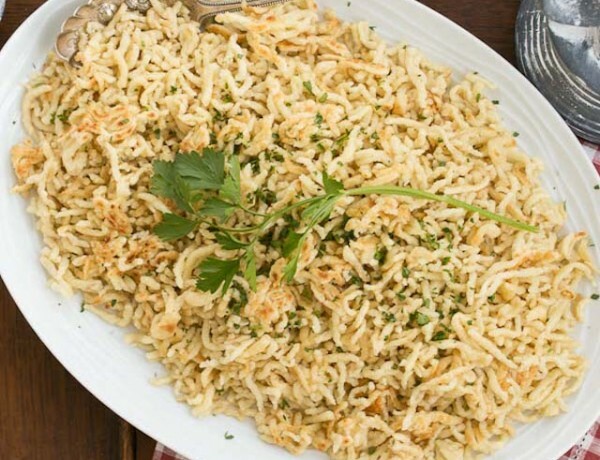 Thin, crispy German egg noodles are so easy to make, especially with the right tools. In only thirty minutes, here’s how to do it. 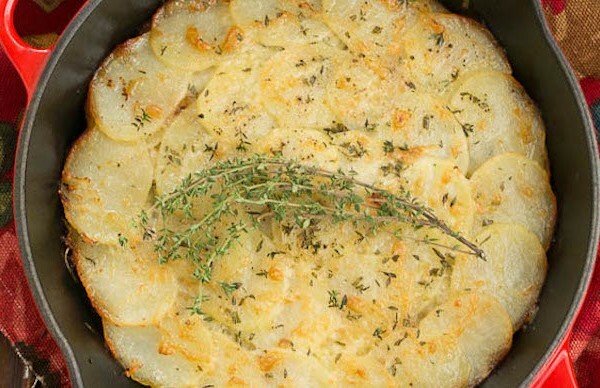 A potato galette receives a twist by adding shallots, herbs and grated Gruyere and parmesan. 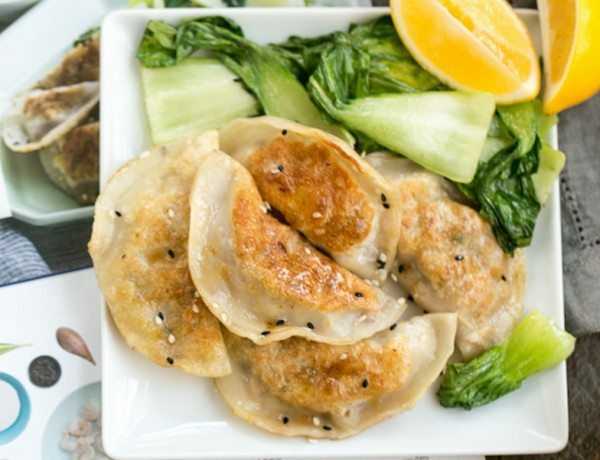 True elegant winter comfort food. 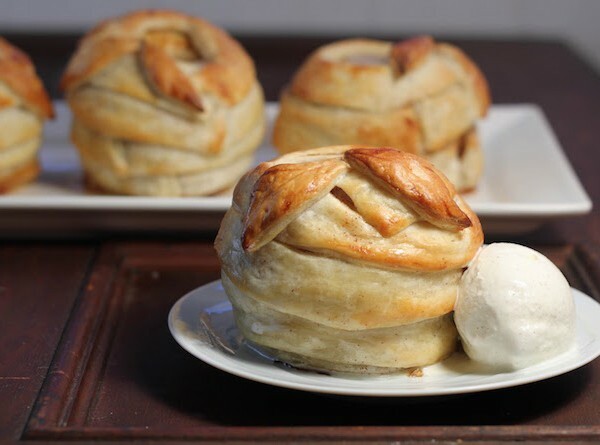 Fall apples are dusted with cinnamon sugar, cored, filled with caramel, and wrapped in buttery puff pastry. Serve with ice cream for a simply stunning dessert. 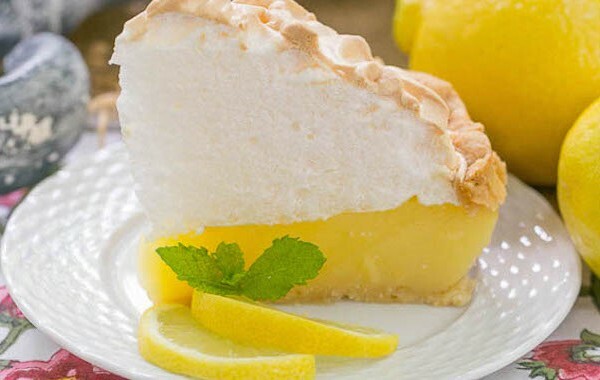 Easily made anytime of the year, but especially loved in summer, a lemon pie with a tall meringue is a perfectly bright and tangy dessert. 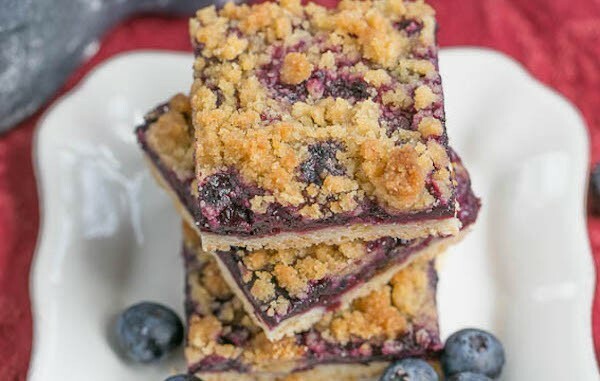 Filled with fresh berries and blueberry jam, these blueberry streusel squares are easier to make than a pie, but still a great way to showcase seasonal summer fruit.